It's time for a new & refreshed blog! Please be patient and check back soon for my updated Blog. Mother of 6 Amazing, Beautiful, Healthy Children, I am a SHE: Stay @ Home Executive! 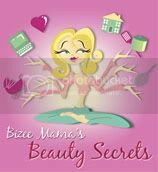 I am excited to Share/Learn about Beauty Secrets and Share/Learn some secrets on Motherhood & raising a Family! I hope you enjoy my blog and stop by often... I will also offer giveaways periodically. All PR pitches are welcome! I love to review products, new or old, so if you have a product that you would like to promote, please contact me at bizeebeauty@yahoo.com . Reviews are FREE of charge however, I do get the benefit of keeping the product[s] that I have reviewed. 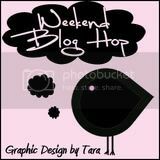 Some of my fave blogs! Giveaway Scout is a giveaway search engine. Their users subscribe to receive updates on the latest giveaways on the web. Add your blog and your giveaways will be exposed to their large network or users.